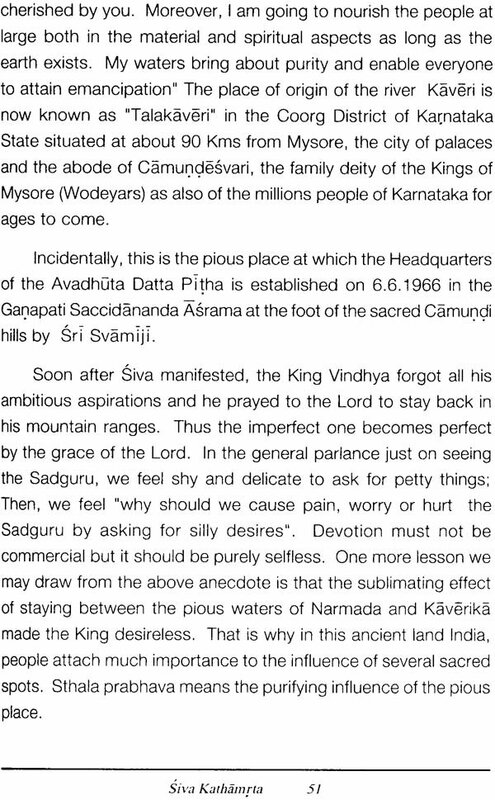 Sri Ganapati Saccidananda Svamiji, the Founder of Avadhuta Datta Pitham, Mysore is well-known as the present incarnation of Lord Datta. Just as the Mother Nature reveals the Knowledge of the Father God to Her dear children, Sri Svamiji, during His musical discourses reveals the intricacies of the mythological anecdotes in an easily understandable way while singing His compositions as also the famous songs of the past Masters. 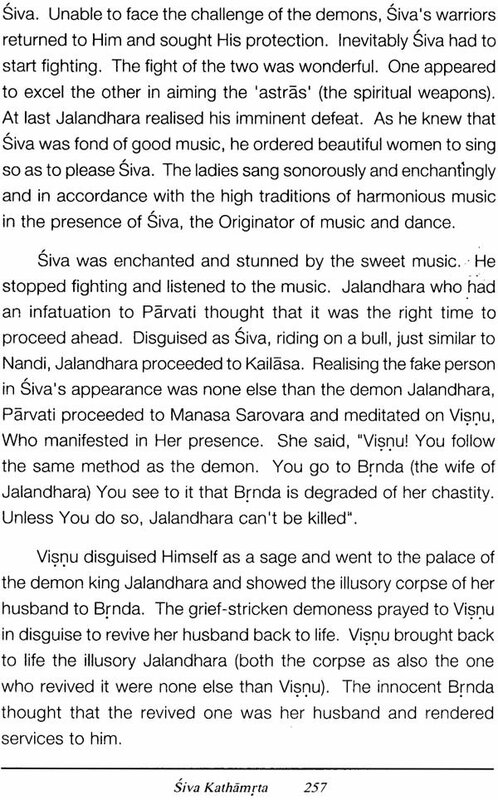 While blessing the devotees with such musical treats, Sri Svamiji discusses the current social, psychological problems and in His own benevolent way guides the devotees to get over the same. Hence, the utterances of Sri Svamiji as significant as the famous Upanisads. 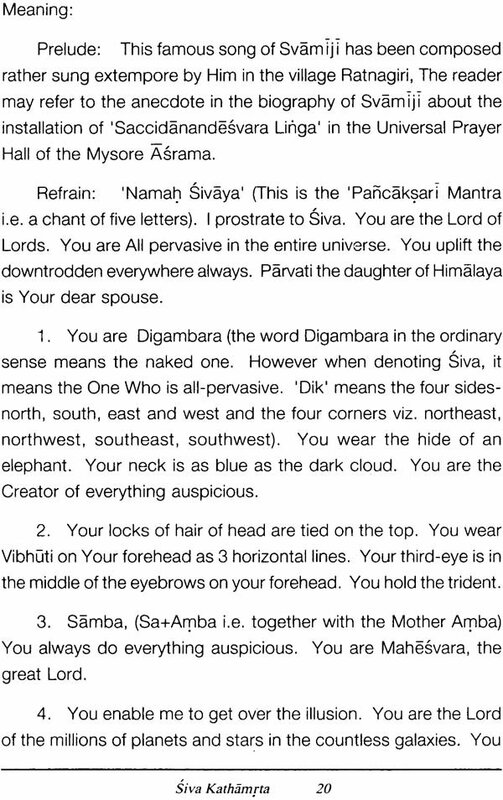 Two of such nectarine messages have been bestowed by Sri Svamiji from 30th October 2000 to 5th November 2000 in Kannada and from 6th Nov. 2000 to 12th Nov. 2000 in Telugu in the Universal Prayer Hall of the Mysore Asram. This spiritual feast has been aptly named as “Siva Saptaha” (7 day program of Siva) covering the various famous ‘Dvadasa Jyotirlingas’. 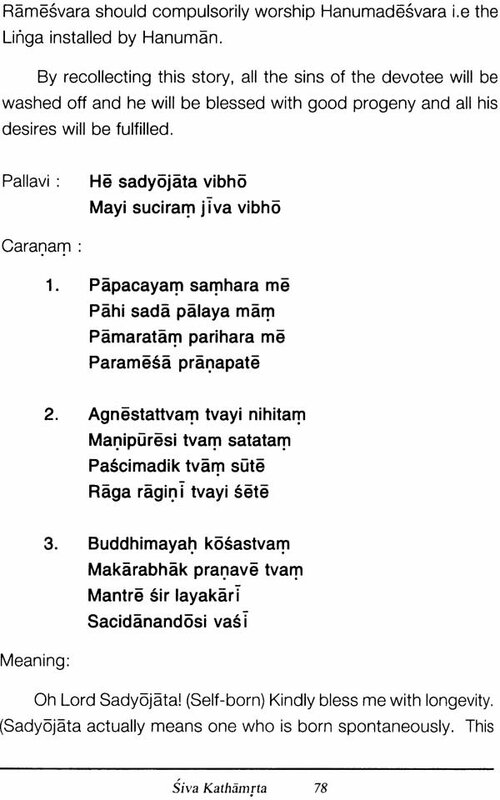 We are further blessed by Sri Svamiji in listening to and publishing the translation of His musical discourses named as “Siva Kathamrta” i.e. “The nectar of Siva’s stories”. It is but natural that after having a glimpse of the cosmic form of Siva as the spiritual brilliance incarnate, a devotee would be further interested to learn the divine, miraculous, supernatural events depicting Siva’s infinite grace. 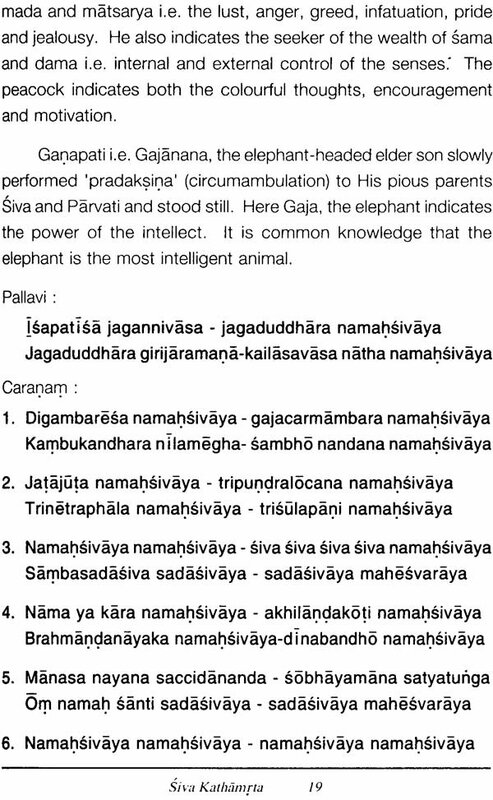 In order to quench the thirst of Knowledge of the spiritual seeker, Sri Svamiji has given a few narrations in Kannada and Telugu for 8 days in the Visva Prarthana Mandira (Universal Prayer Hall) of Sri Ganapati Saccidananda Asrama of the Avadhuta Datta Pitha, during December 2000. it is the divine intention of Sri Svamiji that these sweet nectar-like divine plays be read and enjoyed by the English knowing devotees. As per His wish, that Publishers are glad to place this book “Siva Kathamrta” (The Nectar of Siva’s Stories) in your hands, which we feel will be enjoyable beneficial and sublimating to one and all. We express our whole hearted gratitude to Sri Svamiji Whose inspiration only could enable us to place this book in your hands. Incidentally, the book may not be treated as a mere narration of some stories. The ancient mythology, which is the standard authoritative source of the anecdotes, may be viewed as a subject of serious study. The various characters mentioned as also the various incidents detailed there in have got allegorical significance While the main story is narrated, Svamiji analyzes the various philosophical nuances and reveals the inner purport of the moral standards, which give the reader a telling lesson. The sure and safe guidance offered by Svamiji’s grace to the sincere seeker of spirituality is invaluable. Further, the message underlying each narration serves as a beacon light in the conduct of the affairs either personal, domestic, professional, social, religious or spiritual, for one all, whether the educated or the illiterate, whether the healthy or the sick, whether the rich or the poor, whether the good or the otherwise, whether the active or the dull, of any race, creed, caste, sects, nationality or country. It is humbly suggested that the book can be read out by one while others in a small group listen to it, for some time everyday regularly in their leisure hours and they may discuss the various points while the doubts of one may be cleared by the other. These sessions may be treated as spiritual retreats by the participants. “Mukhe mukhe Sarasvati” – i.e. The Goddess of learning showers Her grace of Knowledge by verbal exchange by the well-meaning persons. Further, the Bhagavadgita, (the Song Divine) exhorts us Parasparam bhavayantah sreyam paramavapsyatah” i.e. co-operation and co-ordination among the like minded persons for a noble cause will bring about welfare to them and others in general. Datta is the Primordial Spiritual Teacher of the Universe, i.e. 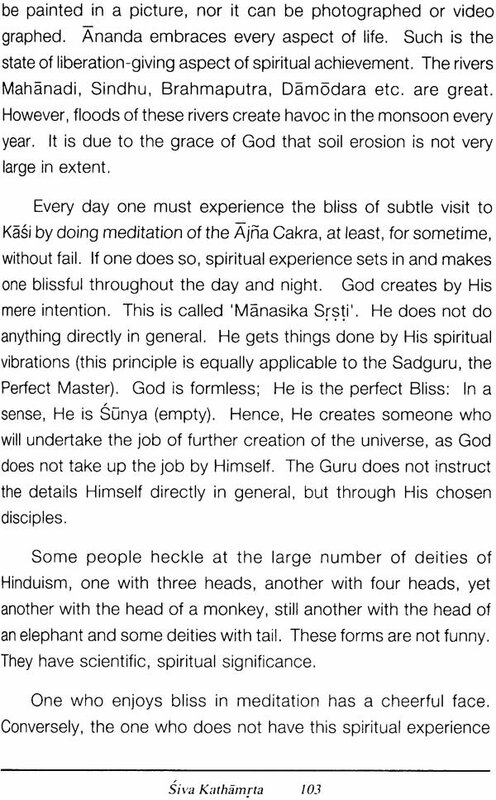 the Jagadguru. Gracefully He has incarnated 16 times and thereafter He has taken further incarnations in recent times as Sripada Srivallabha at Pithapuram (Andhra Pradesh) and as Narasimha Sarasvati in Ganagapura (Western Karnataka). Moreover, due to His bounteous grace, we are fortunate to experience and enjoy the divine presence and listen to the protective precepts of the present incarnation of Datta as Sri Ganapati Saccidananda Svamiji, the Founder of Avadhuta Datta Pitham. We consider ourselves as fortunate in having the permission and blessings of Sri Svamiji to place this book in your hands as the synopsis of the said programme. We convey the choicest blessings of Sri Svamiji to all the inmate of the Asram and the sponsors who have helped us in this humble effort. Sri Balasvami, Sri H. V. Prasad, Executive Trustee of Avadhuta Datta Pitham have given us able and timely guidance in all aspects in fulfilling our task and we express our thankful respects to them. The services rendered by Prof. T.R. Krishnappa, the Secretary of our Asrama’s schools and Kum. Gayathri of our Mysore Asrama deserve our special gratitude. Sri Gangadhar, the Painter of Avadhuta Datta Pitham implicitly followed the directions of Sri Svamiji and painted the various beautiful pictures for this book We convey our deep gratitude for his timely service and co-operation. 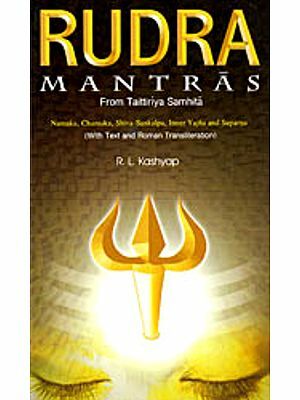 We fervently feel that the reader finds the book not merely as informative but also inspiring as a daily reference guide to recite the various hymns whose meanings are also available. The various branches of arts or science, the countries languages, the climate, the time, the age etc. are but apparent details. Just as we known that Lord Dattatreya is the one and only One Spiritual Master of the entire Universe, so also the spiritual core of Siva is the underlying subtle and predominant influence of teaching. 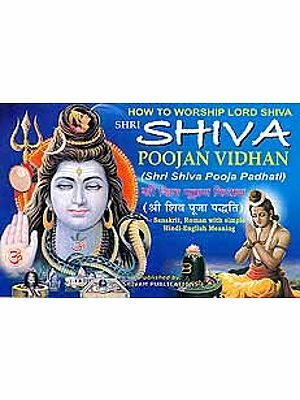 Hence, one has to take refuge at Siva only for acquiring Knowledge of any aspect including the Perfect Knowledge. The word “Siva” means auspiciousness, safety, security and piety. Actually we require all these aspects to become useful for ourselves, for our families and the society at large. 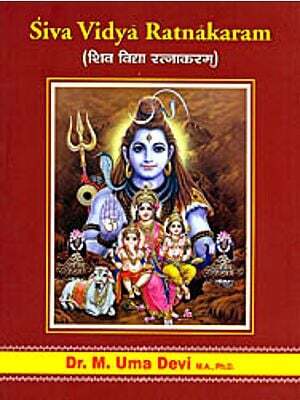 May Lord Siva bless all those who make the best use of the special message given in this book. At the outset let us know the meaning of 'Dvadasa .Jyotirlinga'. Dvadasa is 12. Jyoti is brilliance; the word 'linga' means either a symbol or Sivalinga. Hence, the 12 .Jyotirlingas symbolize the spiritual brilliance of Siva. The predominant features of the Supreme Soul are 'Sat-Cit-Ananda' i.e. Truth-Knowledge-Bliss. Among them Bliss is something to be experienced. It is beyond the description of words. It is the Ultimate Reality and cannot be proved by materialistic arguments or limitations. Hence, the only way to realize the Supreme Soul is the path of Knowledge. The visible form of Knowledge is brilliance, which pervades in the form of rays. The rays when they are thick may be construed as the form of a pillar. Hence, Jyotirlinga is none else than the brilliance of spirituality. The 5 elements of nature form the basis of creation. In these, sky and air are formless. Water appears to take the form of the container which means water has no form by itself. The earth comprises of countless atoms. The form of the earth is approximately spherical. Amongst the 5 elements of nature, only brilliance, an aspect of fire resembles the form of a pillar. 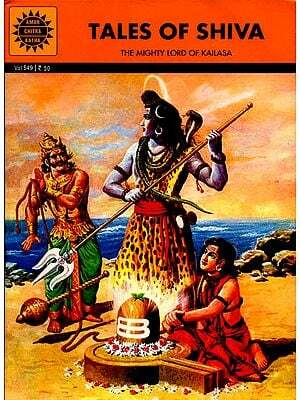 Hence, among the so many idols of the various deities only Sivalinga is known as 'Jyotirlinga' i.e. the pillar of brilliance. When water is poured from a vessel downward, the flow appears like a pillar. Hence, the natural form of brilliance symbolized as the Sivalinga has 'Abhiseka' as one of the principal daily rituals. The popular saying is 'Abhisekapriya Ssivah' i.e. Siva likes 'abhiseka' most. Though the brilliance is in the form of a pillar, it pervades on all sides equally. This versatality is symbolized by the five faces of Siva. That is why Siva is called 'Pancamukha'. Let us examine this in detail. Consider the three-faced Datta. We can see His central face completely and the two lateral faces to a half extent only. Brahama, the Creator has four faces on the four sides. Siva has five faces, one facing upwards i.e. the sky. The movement of brilliance transforms as Time. Once we forget the spiritual brilliance is indivisible and all pervasive, only then we are prone to consider its movement. Hence, the divisible brilliance leads us to measurement in figures. A division requires the minimum of two numbers. Every thing in the creation is formed by the three traits 'satva', 'rajas' and 'tamas'. Hence Time formed out of the brilliance depends on the figure six i.e. 3 mutliplied by 2. Hence, the measurement of time is in the multiples of 6. A day consists of 60 'Ghadiyas' (each ghadiya = 24 minutes). 60 days form one season as per the Indian Almanac. An year consists 6 seasons and sixty years form one cycle of time. 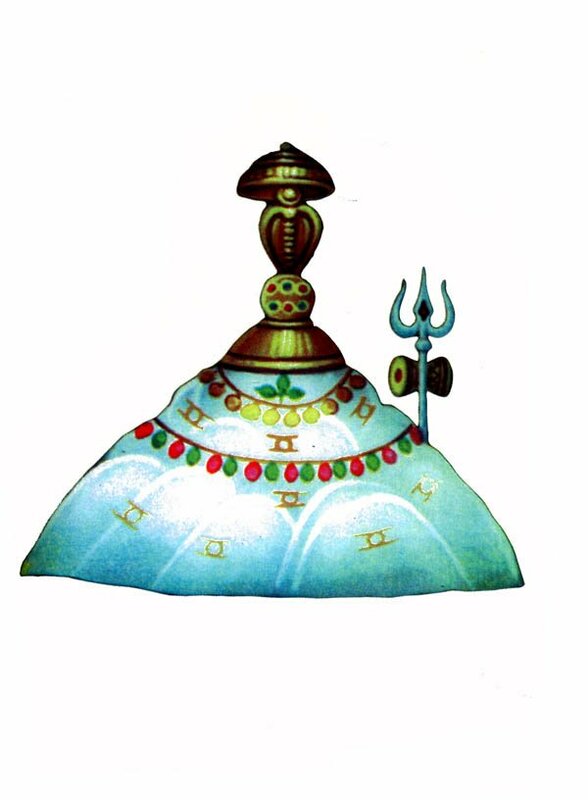 This being so, Siva the embodiment of spiritual brilliance revealed His nature as the principle of Time in the form of 12 Jyotirlingas, the figure 12 being 6 multiplied by 2. Further He divided the year into 6 seasons comprising of 12 months and in each month He takes a different aspect and in total we visualize the 12 aspects of the Sun i.e. the 'Dvadasa Aditya' every year. 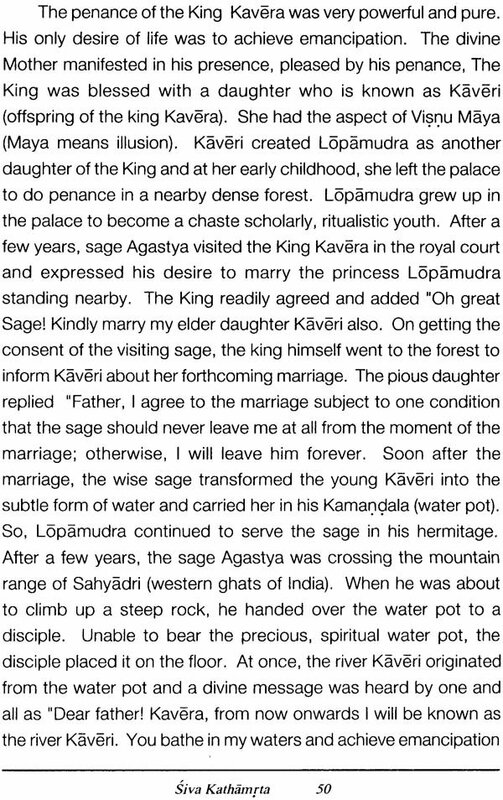 That is why the Yaiurveda states in the chapter 'Namaka' - 'Asauyah Tamro Arunah' i.e. the Sun visible in the sky is none else than Siva. The water, which has an inalienable link with Siva flows in the form of 12 major rivers known as 'Puskara nadi'. 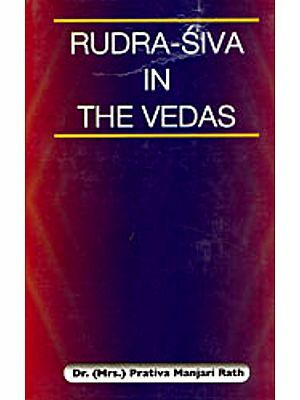 Hence, the Veda states in the chapter 'Aruna' that water is the flowing aspect of the brilliance. Thus, the Supreme Lord Siva with His 12 aspects as Jyotirlinga and as the 12 aspects of the Sun and as the 12 rivers reveals His indivisible, infinite aspect extending from the netherworld through the earth upto the sky and higher above. At night, the physical eye is intent upon having light so that the effect of the night's darkness is not felt. On Sivaratri, Siva manifested as the Supreme brilliance at midnight. One who can realize the spirituality and experiences the Ultimate Reality on Sivaratri never reverts to the darkness of ignorance. Hence, the proverb says 'for a life time one Sivaratri is essential' provided the aforesaid realization sets in. 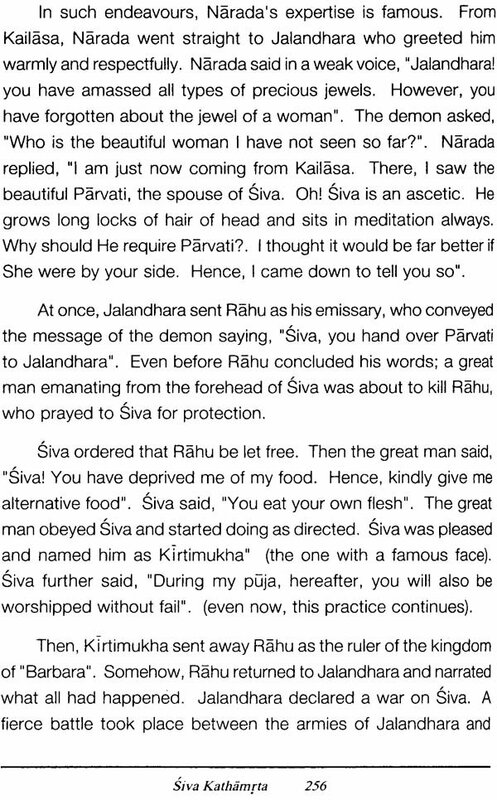 That is why, Sivaratri is the most important festival of Siva. The Divine Mother is worshipped during the festival 'Devi Navaratri' i.e. covering a period of 9 days culminating on 'Vijayadasami'. Sivaratri is unique in the entire mythology at which time one can visualize and experience the divine radiance of Siva by listening to the history of the 12 Jyotirlingas. 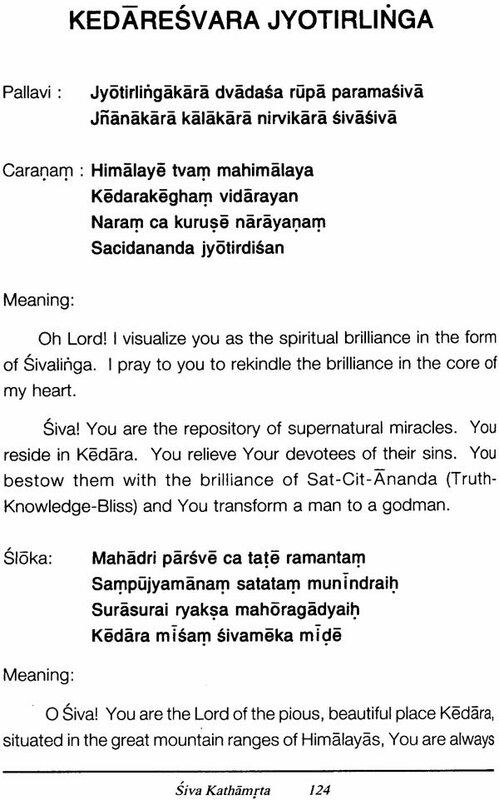 One can visualize the cosmos form of Siva with his mind's eye. (Incidentally the reader may recollect that visnu incarnated as Krsna at midnight in the month of 'Sravana' on the 8th day of the dark fortnight. Siva manifested on the fourteenth day of the dark fortnight in the month of 'Magha'. These two nights are in the months of August and February. Thus these two festivals divide the year into two halves approximately with a difference of only 6 days. Sri Svamiji instructs the devotees and disciples to observe these two festivals with devotion and faith trying to realize the spiritual significance of these deities so as to grasp the indivisible aspect of the Supreme Soul in these two forms just as the two sides of the same coin).